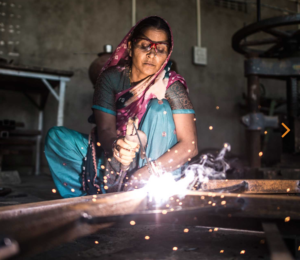 "There is nothing that a woman cannot do if she puts her mind to it", says Rafea Anadi, solar engineer. What can we learn from Barefoot College? Barefoot College shows that everyone has power and knowledge within them. You don't need certificates to proof that. What you do need is a focused training and education. 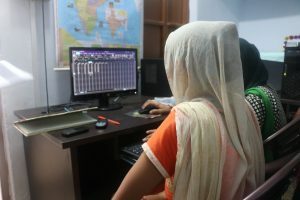 Barefoot College trains rural women, mostly between 35 en 50 years old, by using a smart training package that uses colours, symbols, and learning in practice. The women at Barefoot College are often illiterate, but become experts within their field. They work on local problems such as clean water, health and energy. Barefoot College demystifies medical and engineering technologies, making them accessible and understandable for everyone. They put new tools in the hands of rural poor, so they can become self-sufficient and live sustainable. The source of all life: water. How to harvest rainwater? "Minds on the margin, are not marginal minds." What can we learn from Honey Bee Network? Knowledge is not something that can only be found at universities. Local people in rural communities are full of innovative ideas and solutions. The problem is that they often do not have the resources to promote and scale up their technologies. Honey Bee Network searches for valuable knowledge in rural areas and already scouted over 100.000 innovative ideas. 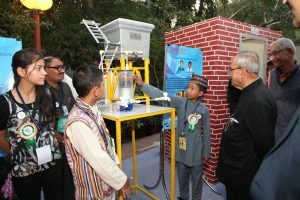 Through an unique model of group entrepreneurship, specially with rural women, these solutions are brought to the next level. They are validated and tested, provided with necessary licenses and patents, and given attractive packaging. Honey Bee Network's smart combination of university, rural communities and market results in sustainable grassroots technologies. What can we learn from READ Centre? READ Centers all have the same model and become self-supporting within 3 years. By now there are already 102 centers in Bhutan, India and Nepal. What is their secret? First, research what is needed for the community and larger environment. Gather a group of women. Find a larger company or enterprise that can give focused trainings to them. Provide the necessary materials and technologies. Let the women do the rest. READ Centers are completely run by the community, from painting the building to the management. They have a library, a computer room, women's section, training hall and even a daycare for the children. A READ Center is actually a small sustainable enterprise that creates local jobs at nearby hospitals, industries and institutions, and generates profit to support the costs of the Center. The Centers are located rural in nearby areas of communities, which makes it safe for young women to travel. To gather all our collective knowledge, we will have a reflection session after every visit to see what we have learned. On the last day of the exchange we formulate an action plan with ideas how to implement what we have seen in India into the local context of Bangladesh.